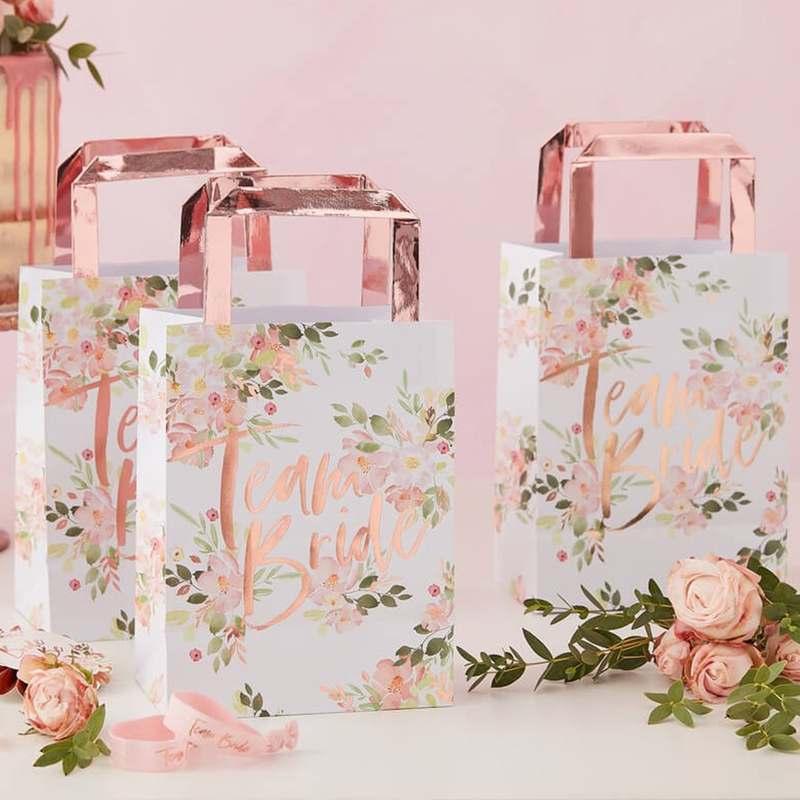 Creating party bags for your hen group is all part of the fun, we have loads of options of things to put in the bags but the bag itself is important too. 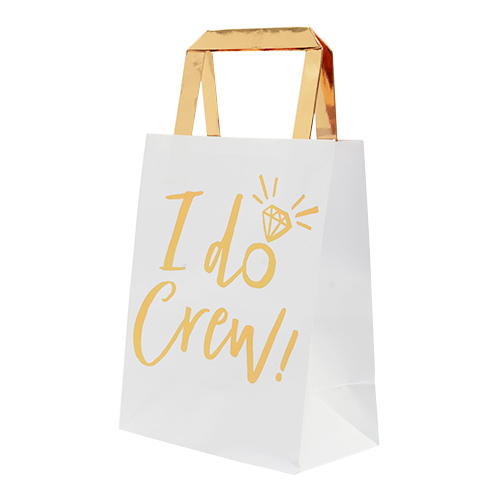 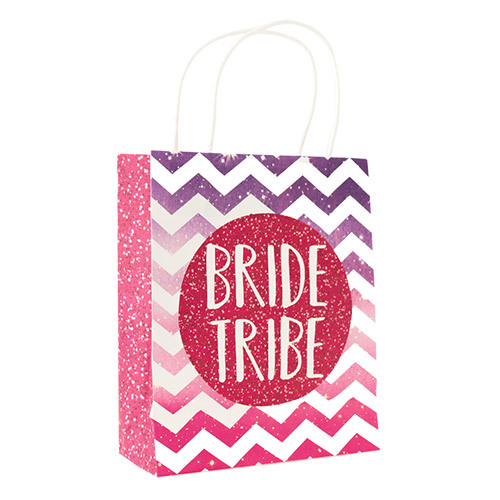 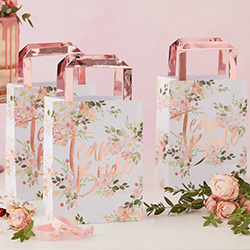 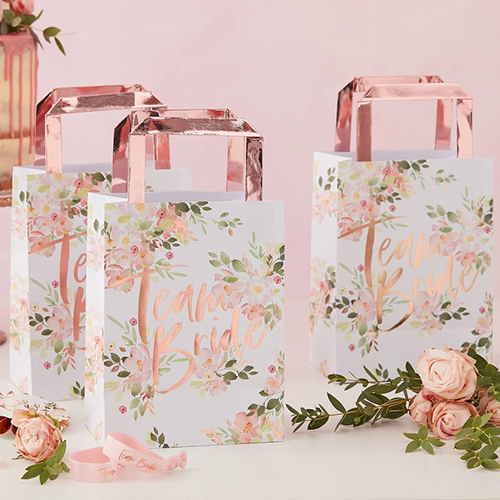 These Floral Team Bride gift bags are one of the classier options, get one of these for each of the group, fill it with hen night goodies and you have the start of a great party. 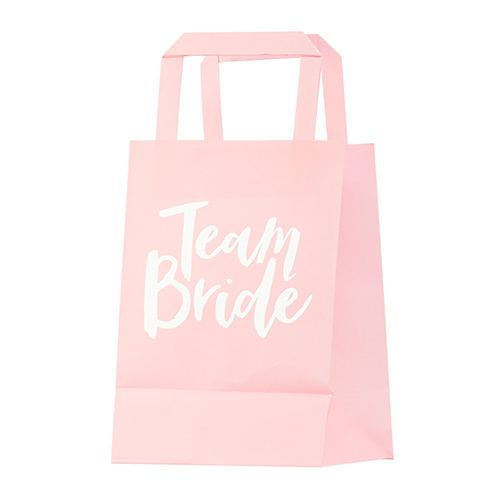 There are five bags in a pack and they measure 35cm x 24cm making them large enough to hold a whole load of hen party goodies. 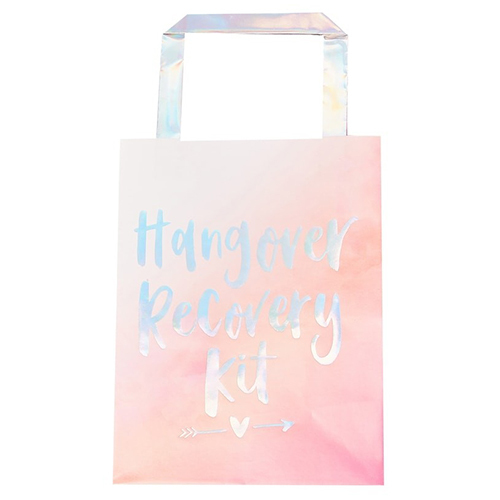 You can find these and loads more ideas on our hen party gift bag fillers page.